So, the new Kindle Oasis is finally here! Such was the expression by many people when the much awaited Kindle Oasis finally came around on April 27, 2016 following long curiosity by many people to see what added features has Amazon made with this generation of Kindle. When Amazon first unveiled this amazing e-reader called Kindle Oasis in the said date to join their Kindle e-reader family, what came to many Kindle lovers’ mind was probably what again is this and why should they buy it when they already had one. 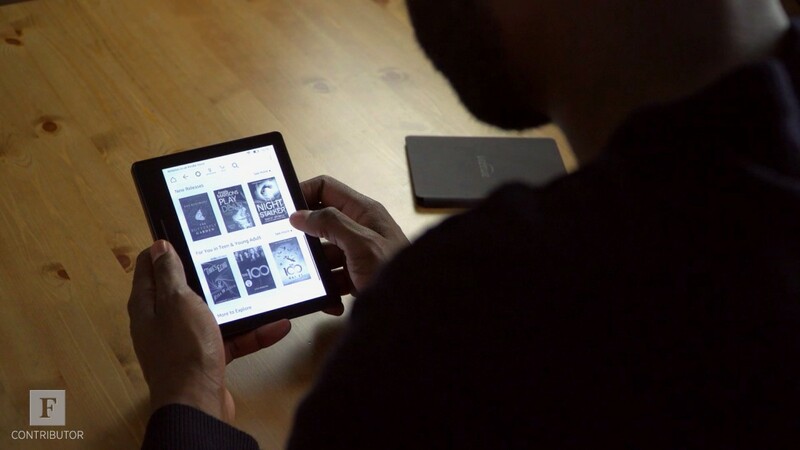 Perhaps you’re still in the dark as to what exactly is Kindle Oasis, this article is meant to help you understand fully what you need to know about the product in terms of added features as against the previous kindles and why you may want to try it. With several generations already passed by, and precisely going by the generations, Kindle Oasis is the Kindle’s first major physical redesign in years and also a part of the eight generation of the Kindle line. Although most readers don’t really care about what their e-readers look like but it’s very important that I give you a brief clue as to what differences are in this e-reader in relation to the previous ones before it. It’s true that there are a few practical changes in this edition of Kindle e-reader but that are still some aspects to which there are no improvements in contrast or additional features like a warm night mode, the screen (as it still has the same Paperwhite screen as the previous model) but the LED lighting has been tweaked so it’s more even. However, it’s worth noting that Kindle Oasis is lighter (up to 50 grams lighter or weighs 4.6 oz. as against 6.3 oz. for Voyage and 7.2 oz. for the Paperwhite 3) than the previous kindles, though that is without the cover, but with the cover it weighs 2 ounces more than the Voyage. You may not really appreciate the benefit in having your reader lighter except you find yourself in a situation where you have to hold it up for a longer time such as in a Marathon reading. What Makes the Kindle Oasis different? 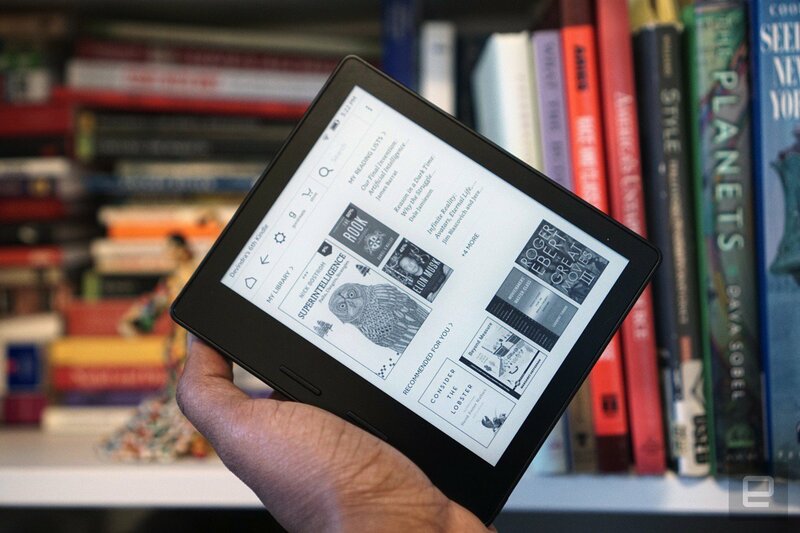 Nothing is significantly different or special about the Kindle Oasis e-reader as most, if not all; e-readers are shaped like a standard tablet –like a rectangle. But, one of the key improvements or latest changes Amazon has made in it compared to the previous models is the size. It is quite interesting to see that despite a reduction in the size of the product nothing was actually missing or sacrificed in its features and functions as one would have expected. Oasis is up to 50 grams lighter than the Voyage and that is a great plus for a person who loves holding it up for long time reading. Another interesting thing about this product is its new cover, which helps extend the battery life to more than two months though this is not the same case with the Voyage which has relatively more battery life and lasts up to six weeks. Your Kindle Oasis also has a thicker spine-like edge that gives you a solid place to grip but with little to no changes in the ergonomics. The Oasis is again an exciting e-reader for its shape and feel, which closely looks like that of an actual book and it’s remarkably thin and unique in its overall shape. It’s also worth mentioning something about its part nearest the inside of your hand (where you have the page turning buttons) being thicker than the rest of the e-reader, this s again resembles and feel remarkably like the spine of an actual book. This aspect, in particular, to a person like me who has always wanted his reader to feel like an actual book when grasped excites me a lot about the design change. Summing it all up, this new Kindle is indeed a remarkable improvement from every other Kindle that Amazon has made before it. The Oasis, unlike most eBook readers, doesn’t have the processing speed and responsiveness of a full tablet but has functions that resemble page scrolling and dictionary searching plus other functions such as for sharing passages and highlighting, all of which works quite interestingly well. During the course of my going through hands-on testing of the device, its screen displayed images and text perfectly right, and in addition, it has a fidelity that was nice and identical to printed ink. The Oasis has a great 6-inch, 1448 x 1072-pixel display and its reading interface is well laid out with ease of browsing through Amazon’s menu screens as well your eBook library. Wireless charging cover plus a dual-battery charging system, which makes charging a lot easy and ensures your battery lasts up to eight weeks. Oasis Kindle has a frame (like a metal-infused) and excellent cover plate, both ensures resilience even with its small size. It has 6″ High-Resolution Display (300 ppi), Wi-Fi plus special offers but same size as the old Kindle Voyage except for having higher quality picture compared to Voyage. 20% lighter and 30% thinner on average compared to other kindle e-readers. Includes touchscreen and physical buttons for turning pages. Includes 4 GB of on-device storage and free cloud storage for Amazon content. 60% more LEDs compared to other Kindle e-readers. This ensures great brightness tweaking, enhanced page consistency, and protects you from eyestrain that may result from reading for long periods of time. It includes innovative and cool design. It can be used one-handed. Lesser value compared to other Kindles. Lesser battery life compared to other Kindles. 3G connectivity is only within the USA. If all you care is getting value for every Kindle e-reader you get, then I would suggest you get the Kindle Oasis. Although it’s not totally without its own shortcomings when compared to other kindles but it’s still a great device you can ever own to read your Amazon Kindle e-Books. Meanwhile, if cost is a non-negotiating factor to you, then go with a Kindle Paperwhite. You will equally find it insanely a capable e-reader with similar capability to the Oasis and at a relatively lesser price.